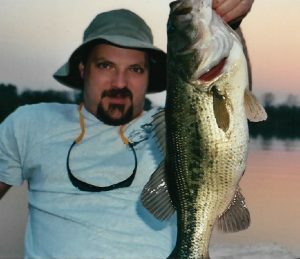 The Friday Flashback series plows ahead into a new month with another visit to an old fishing hole. 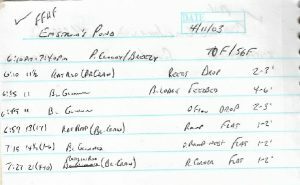 Below is the original fishing report sent out to family and friends back on April 11, 2003, the same evening that I fooled the fish pictured above. 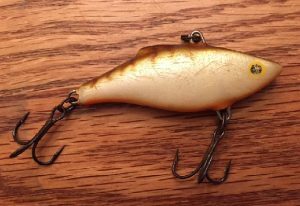 The Lure – still got it and dig the battle scars although I haven’t thrown it for years as lipless crankbait allegiance has turned to the Red Eye Shad. Fifteen years later and decent weather and free time have been pretty tough to come by in 2018. Still looking for a bass of this quality as well as I currently sit at 2-6 for my Top Bass this year among the ten bass in the log from a pair of outings and just under eight hours on the water.